Among the awardees for the BS Accountancy program were Mr. Renato G. Eje, Mrs. Liza V.
Mercado, and Mrs. Saylita A. Cabral. For the BS Business Administration program are Dr. Bendalyn M.
Dr. Napoleon M. Arago, Jr. and from the program of BS Office Administration, the awardees are Mrs.
Imelda E. Abad, Mrs. Priscila D. Gonzales and Mrs. Lorna D. Obeda. 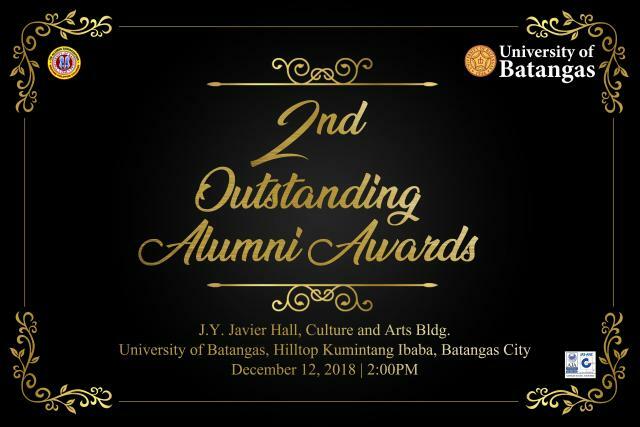 Under the BSED program, Dr.
Raymund M. Ferry, Dr. Wilhelm D. Siscar, Dr. Meniano D. Ebora, Mr. Dexter V. Alvis, and Ms. Rori P.
Delos Reyes were among the awarded alumni. program of AB Communication, Mr. Micheal T. Matibag, Mrs. Maria Niña Laureano-Daynata, Mrs.
program of AB Political Science are Atty. Ronie A. Geron, Judge Ma. Socorro Alea Godoy, Atty. Adonis P.
Sulit, Judge Gener M. Gito and Atty. Josephine A. Concepcion. Also, recognized were Mrs. Shiela Marie C. Velasquez, Ms. Hazel Joy J. Mercado, Mrs. Gileen M.
BS Informatiom Technology, included in the list are Mr. Jerome G. ALday, Mr. John Ray M. Ebora, Ms.
and Mr. Christopher S. Sastado from the program BS Hotel and Restaurant Management.